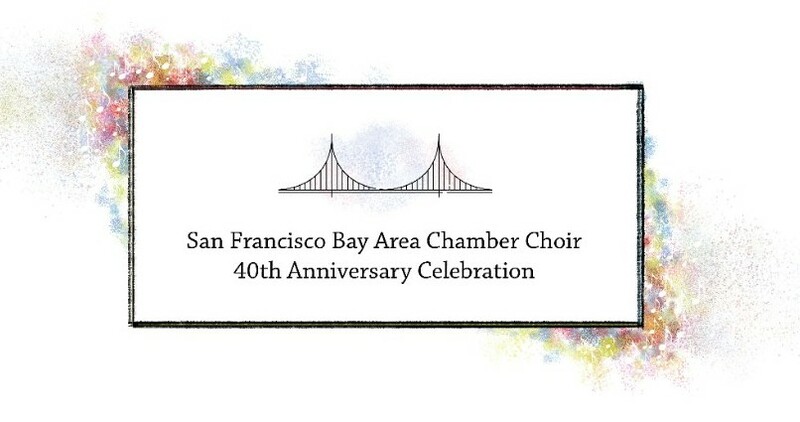 The San Francisco Bay Area Chamber Choir would like to personally invite you to the choir’s 40th Anniversary Gala Celebration, to be held on Saturday, November 17th, 2018.
Who could imagine that from an informal one-time group that was pulled together to participate in the 1979 Europa Cantat, such an excellent organization would evolve? And who thought that we would eventually be celebrating 40 years of music making, fellowship, travel, and memories? All three of our former Artistic Directors (Harry Carter, David Stein, and Tony Pasqua) will join with our current Artistic Director, Ofer dal Lal, to conduct the choir in a program that will be sure to conjure joyous memories and illuminate our ongoing path of artistic excellence. 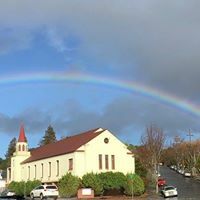 Then, we’ll gather for a reception, where we can re-connect, share stories, and enjoy lovely desserts, tea, coffee and wine/champagne. The performance will include pieces from the past and future of the choir by composers William Byrd, Robert Lucas de Pearsall, Claudio Monteverdi, Morten Lauridsen, Veljo Tormis, Heinrich Schütz, Vaughan Williams, Anton Bruckner and others. Air Quality Note: Kehilla is equipped with an air purification system which is in operation for the concert. Tickets are $40 general admission, $20 for young audience (30 and under), $100 for SFBACC Supporter.